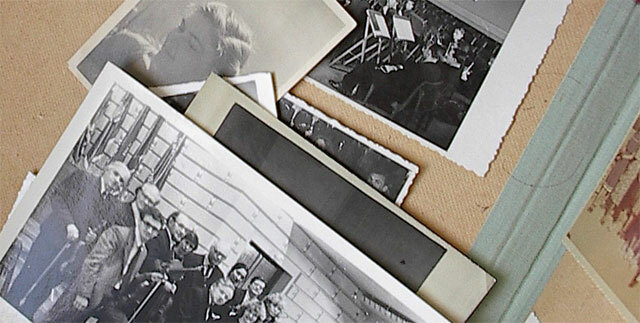 Most of us still have hefty collections of old photographs lying around the home. In this digital age, now that images and information are stored almost exclusively in nonphysical formats, it’s hard to figure out what to do with these relics of a bygone era. But don’t toss them out just yet! With a little bit of effort—and some inspiration from around the web—you can turn old photos into true objects of beauty without breaking the bank. “Nothing but Bonfires” explains how to select an old photo, blow it up, mount it on medium-density fiberboard (MDF), and end up with a beautiful piece of art suitable for decorating the home or office. Snag some coupons for the supplies and get started with the guide here. Not only is this a fun DIY project that adds a special personal flair to the décor of any space; it’s cheap and quick! The author of the guide spent no more than $50 for the whole process (and even ended up with supplies left over), and the whole project can be completed in a single day. Selecting the perfect, most beautiful and glamorous photo for display is a great way to honor and remember a relative from an earlier generation. Follow these in-depth instructions from essortment.com to use an inkjet printer, transfer paper, and some scanned photos to construct a unique and personalized quilt. Transfer paper can be purchased in packets of 10-20 sheets for $15-$20; if you organize your photo layout in the most efficient way you can get a whole quilt’s-worth of prints out of one packet. Scanning the photos and manipulating them in a graphics software package prior to printing allows you to ultimately display them in a polished state—you’ll end up with a quilt covered with beautiful memories. These simple instructions from eHow.com will help you get started. When buying supplies and decorating your scrapbook, you can decide how extravagant you want to go based on personal budget considerations—snoop around the web for additional resources if you want some additional help or inspiration. A finished scrapbook is not only a beautiful and meaningful piece of history—it’s an organized collection, and a great way to keep photos easily accessible for other art projects like the two mentioned above! When it comes to making the most of old photographs, these projects are really only the tip of the iceberg. There is just so much you can do with these oft-forgotten gems—even without shelling out wads of cash. Start brainstorming, search the web for inspiration, and don’t be afraid to get creative!